Watch Bash and Josie progress in the Bashing Boundaries Donor Update! Now you join the cause to support the next phase of Bash and Josie's healing journey. Bash Hagelin is a pioneer of healing, born with a rare condition called Arthrogryposis which affects his limbs, causing stiff joints and weaker muscles. We, his family, have been fundraising for him to receive special therapy in addition to his medical treatments, surgeries, and PT/OT since he was one year old. The money we have raised in the past has allowed him to receive hundreds of hours of CranioSacral Therapy, a pain-free technique that releases the soft tissue and inflamation throughout his body, making dramatic and lasting change in his physiology and empowering him to live a fulfilled and independent life. Last year, with your help, we raised enough funds to send another child, Josie to receive the same treatment and they have both been thriving! 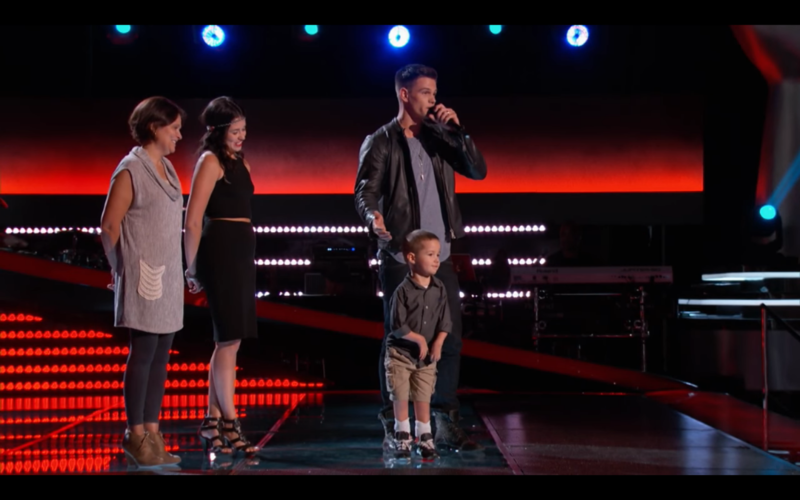 Bash instantly became a beacon of hope and inspiration for millions of people across the world when his father Nick Hagelin brought him out on stage during his blind audition on NBC's The Voice last year. Considering that some doctors said Bash would never walk, his triumphant march onto the primetime stage brought immense hope to special-needs families all over. His story has since gone viral, gaining millions of view on USA today and UNILAD. He would not have been able to walk out on that stage without your support. We are eternally grateful. This July, 2017, Bash and Josie have been invited to be in a very unique Cranio Sacral Therapy intensive to recieve Ultrasound Therapy from Dolphins! 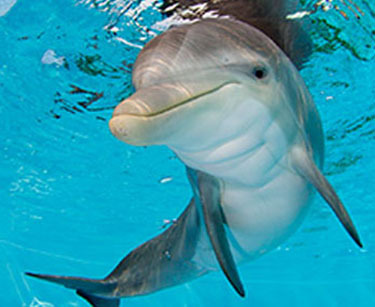 Dolphins offer their assistance in the healing process by finding the restrictions with their sonar and then breaking it up with their ultrasound. 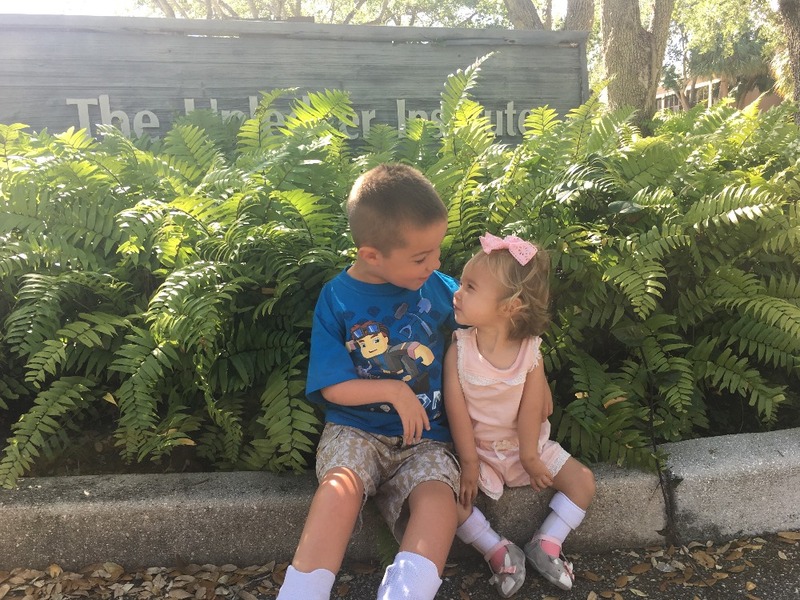 It's a magical experience that can truly accelerate Bash and Josie's healing advantage along with the CranioSacral Therapy that they have been blessed to receive thanks to your contributions. This is an extremely special invitation, and space is very limited. We need your continued support to help get Bash and Josie to their Dolphin Healing Experience this summer. The expense is $4,775 per child for the therapy intensive alone. They will recieve 16hrs of therapy in 4 days which, is the most either Bash or Josie has ever had in a week. We believe these results will be tremendous, and are so excited for what this healing possiblity could bring! Fund will cover the therapy and raise the needed funds for travel, airfare, and lodging. Together we can help provide Bash and Josie with this once in a lifetime healing experience. Please give what you can to help support Bash and Josie to heal at new levels this summer. PLEASE SHARE, REPOST AND DONATE NOW! BASH AND JOSIE MAY UPDATE! Bash and Josie have been working hard on their rigorous healing advantage. With the funds raised from our previous fundraiser, they have been able to add monthly CranioSacral Therapy sessions locally here in Atlanta to their healing regimin. This combined with weekly physical and occupational therapy really keep things moving in between visits to the Upledger Clinic for quarterly CranioSacral Therapy intensives with Rebecca Flowers. We spent our spring break doing another CranioSacral Therapy Intensive thanks to our previous fundraising efforts. The results were really amazing for both Bash and Josie! Bash can run much much faster. His gate has picked up and has a little gallup now. His shoulders released so now he can swing his arms in bigger wider circles. He says it feels like his hands rest an inch or 2 lower than they did. They where above his belly button, now they are below. He can now get out of the car BY HIMSELF! This is a huge deal! He can unbuckle, open the door and hop out of the car. This has been a big dream of his for a while now. Her range of motion has increased in her rib cage. She is leaning back on her wrists and stretching her full body out. She has more lateral range of motion and she is more mobile when twisting side-to-side to reach for a toy. This is a result of many releases through her rib cage and is a huge improvement. She can now SCOOT from point A to B, for the first time ever! She get faster and now can better interact with her world. She is standing for almost an hour in her stander (a standing device). While standing she has more strength in her legs and is bouncing with more pressure on her feet than ever before. Which is a major improvement! We are all so grateful! And just thrilled to see these tangible results. So excited to see what the next intensive will bring. Thank you for all your Love and Support! Bash and Josie wouldn't be where they are today without your donations. We are eternally grateful. Imagine being a parent and having to help your child through extremely painfully therapy, knowing even though they are crying its the best for them, beyond heartbreaking! Kids born with Arthrogryposis have to deal with this everyday. Some get better with tons of therapy, some become independent. Some never get better, some never walk. Its up to the parent to get them what they need to become more flexible and strong. THIS IS WHY WE ARE FUNDRAISING FOR PAINFREE THERAPY. It's so hard to watch and even harder to do. But Josie is doing an amazing job, working through the pain to become strong. Some kids aren't so lucky, some parents don't do what is hard, they let them stay the same, let them not do therapy. Understandable, because its so hard. PLEASE DONATE TO HELP JOSIE WALK ONE DAY! Share - Donate - Pray for recovery! Thank you for everyone's support, every penny is going to help Josie and Bash get the therapy they need to have the healing advantage that Cranio Sacral Therapy gives them. Pain free therapy is the best kind of therapy. Thank you for standing with us in the healing possibilities! AHHHHHH!!! BASH AND JOSIE GOT SPONSORED! Their therapy has now been completely covered thanks to The Graham Fund and Barbara Tresness! THANK YOU A MILLION TIMES! The FIRST 10 people to donate $100 or more will receive a free gift! Watch the video for a Bashing Boundaries Donor Update. Join the cause to support the next phase of Bash and Josie's healing!